Another piece of good news awaits freediving fans! Lobster Neck Weight manufacturers have changed the courier for product delivery. 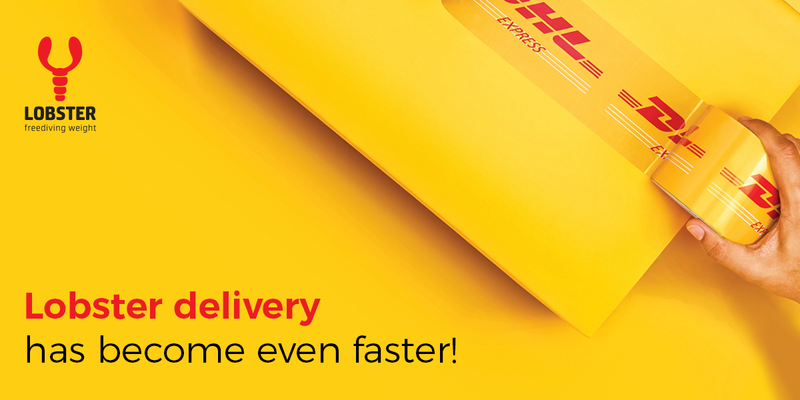 Starting January 2019, the goods are delivered to the recipient by the DHL courier service. This suggests that Lobster reaches the addressee much faster. Order processing time is only 3 business days and the delivery time of products from manufacturer to customer will be reduced to 7-14 days (depending on the region). We care about our customers and we make every effort so that they can more quickly get the goods, assess product quality and uniqueness. Do not postpone the purchase of such a useful product as Lobster Neck Weight. Place your order right now and receive the weight system shortly after.